On February 5, 2017, Bryan performed the National Anthem at Super Bowl LI at NRG Stadium in Houston, TX. In September 2017, Bryan was announced as a judge for the revival of American Idol on ABC. Bryan released "Light It Up" in mid-2017. It is the lead single to his sixth album What Makes You Country, released on December 8 of the same year. 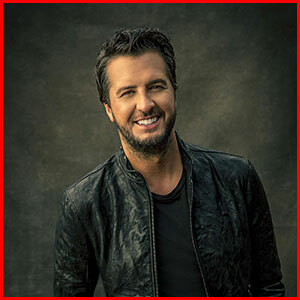 On May 19, 2015, Bryan released his first single from his fifth studio album, Kill the Lights, "Kick the Dust Up", which peaked at number one on the Country Airplay chart. He co-wrote over half of the songs on this album. This album provides not only his country flare, but also has tracks that include a disco type beat along with the songs of romance. The album's second single, "Strip It Down", was released to country radio on August 4, 2015. The album was released on August 7. Kill the Lights sold 345,000 total copies its first week and beat out Dr. Dre's Compton to debut at number one on the Billboard 200 chart. "Strip It Down" went number one in October 2015, making fourteen cumulative number ones. The album's third single, "Home Alone Tonight", released to country radio on November 23, 2015. The song also became his fifteenth song to reach number one. The album's fourth single, "Huntin', Fishin' and Lovin' Every Day", released to country radio on March 14, 2016. All six of the singles released from Bryan's Kill the Lights album reached number one on the Billboard Country Airplay chart, making Bryan the first artist in the 27-year history of the chart to achieve six number one singles from one album. In 2016, Bryan was selected as one of 30 artists to perform on "Forever Country", a mash-up track of "Take Me Home, Country Roads", "On the Road Again" and "I Will Always Love You" which celebrates 50 years of the CMA Awards.